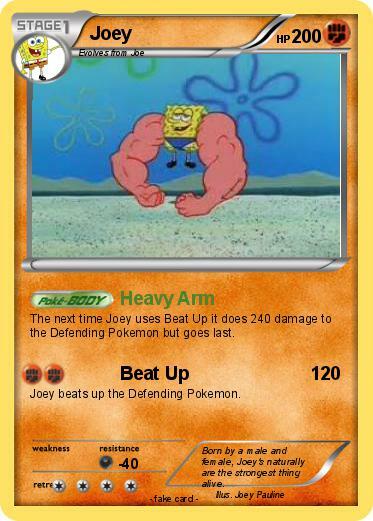 The next time Joey uses Beat Up it does 240 damage to the Defending Pokemon but goes last. Joey beats up the Defending Pokemon. Comments : Born by a male and female, Joey's naturally are the strongest thing alive.